We address a general fault-tolerant version of the k-median problem on a network. Unlike the original k-median, the objective is to find k nodes (medians or facilities) of a network, assign each non-median node (customer) to \(r_j\) distinct medians, and each median nodes to \(r_j-1\) other medians so as to minimize the overall assignment cost. The problem can be considered in context of the so-called reliable facility location, where facilities once located may be subject to failures. Hedging against possible disruptions, each customer is assigned to multiple distinct facilities. We propose a fast and effective heuristic rested upon consecutive searching for lower and upper bounds for the optimal value. The procedure for finding lower bounds is based on a Lagrangian relaxation and a specialized effective subgradient algorithm for solving the corresponding dual problem. The information on dual variables is then used by a core heuristic in order to determine a set of primal variables to be fixed. 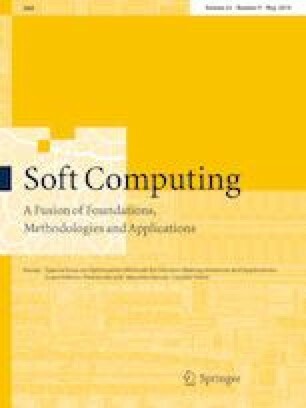 The effectiveness and efficiency of our approach are demonstrated in a computational experiment on large-scale problem instances taken from TSPLIB. We show that the proposed algorithm is able to fast find near-optimal solutions to problem instances with almost 625 million decision variables (on networks with up to 24978 vertices). This study was funded by Russian Foundation of Basic Research, Project No. 18-07-01037. All the authors (I. Vasilyev, A. V. Ushakov, N. Maltugueva and A. Sfroza) declare that they have no conflict of interest.